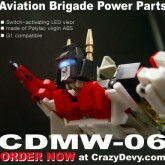 Aviation Brigade Power Parts (CDMW-06) toy information. 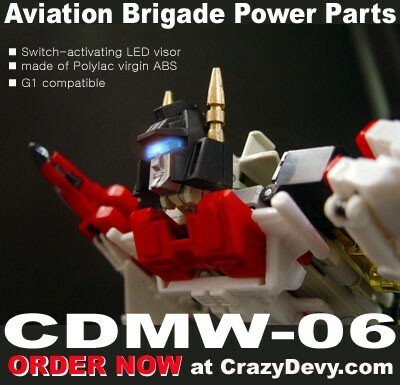 The first of CrazyDevy's Aviation Brigade Power Parts Add-Ons for Generation 1 Superion was an upgraded head. 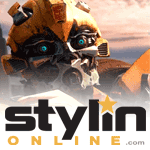 The new head featured a LED light up visor.